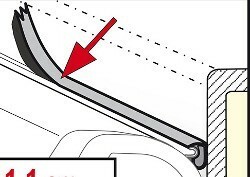 Convenient rubber strip to seal the gap between the awning case and vehicle roof for F45 S awnings installed above the level of the vehicle wall. 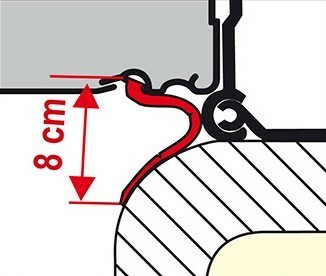 Rain Guard Lower sold by the metre - Select length required from the list above. 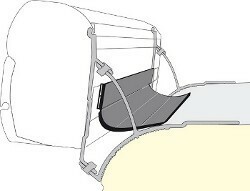 Fiamma Rain Guard Lower fits to the special guide rail on the underside of the awning case and rests against the van roof. It fits all length of Fiamma F45 S awning and covers the gap between the bottom of the case and the van roof to stop rain water run off from the van roof. 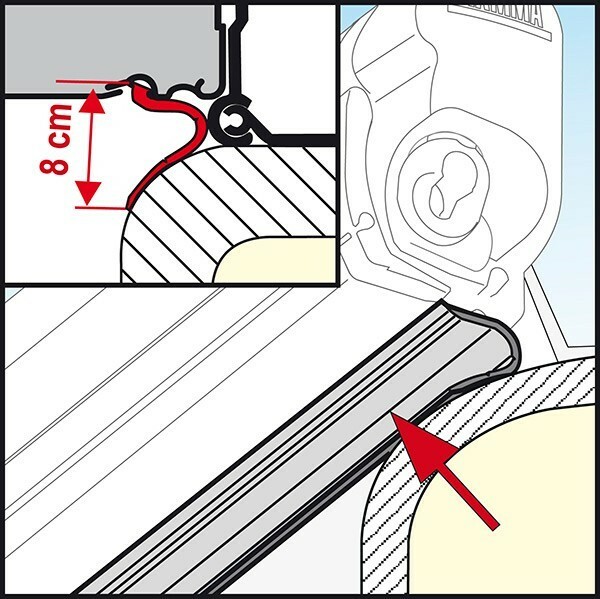 It also prevents draughts from under the awning case on awnings fitted with Privacy Room. Suitable for Fiamma F45 S awnings installed on the vehicle roof where the bottom of the awning case is above the level of the van wall. 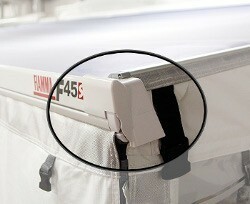 Rain Guard Lower fits to channel in the bottom of the F45 awning case. 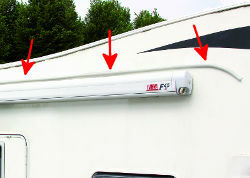 In order to seal this gap the awning channel in the awning case must be directly above the vehicle roof. 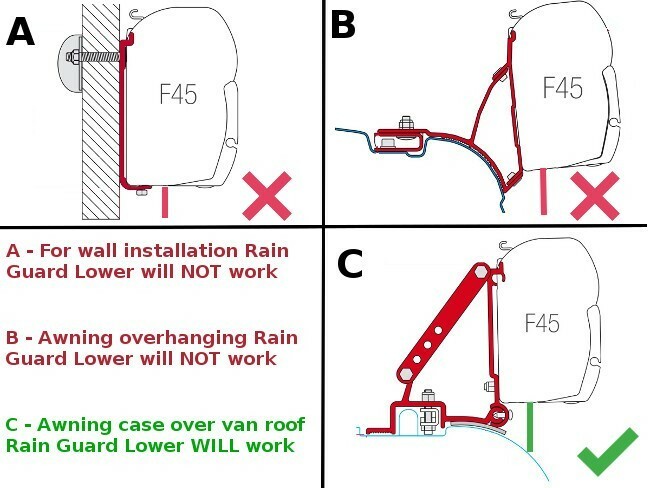 If the F45 awning case completely overhangs the edge of the van roof Rain Guard Lower will not work. 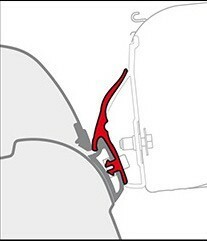 See diagram images to show appropriate installation.